Alison Brown will be performing three concerts in France during June ahead of the release of her new album Song of the Banjo in September. *The concert at La Roche Sur Foron has free entrance though donations at the end of the concert will be welcomed. A Facebook event has been created for this concert but please note (as the Facebook notice says) please call l'Office de Tourisme on +33/0 450 03 36 68 to reserve your place. 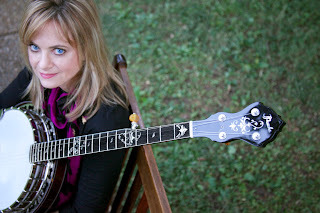 We hope to bring you a more in-depth article about Alison's forthcoming album Song of the Banjo in the near future but do not miss the opportunity to see Alison when she vists France next month.